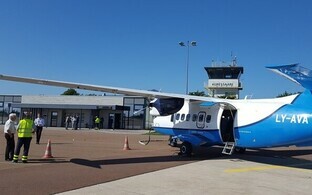 According to Transaviabaltika, the airline serving flights between the Western Estonian islands of Saaremaa and Hiiumaa and the mainland, the average load factor of flights on the Kuressaare route was over 90%, while the load factor exceeded 60% on the Kärdla route. According to airline spokesperson Rene Must, last month's hot summer weather and number of events saw more people flying to Kuressaare and Kärdla alike than in June. 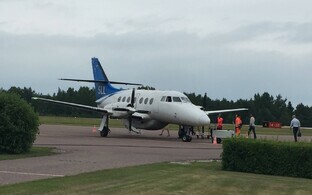 "Air traffic flowed nicely, but unfortunately dense fog forced us to cancel one flight to Kärdla in July," he said. 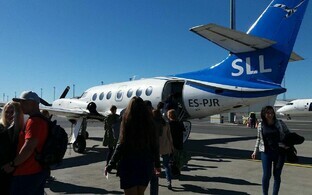 "There were no disturbances on the Tallinn-Kuressaare-Tallinn route." Transaviabaltika operated a total of 55 flights on the Tallinn-Kärdla-Tallinn route; one flight was cancelled due to adverse weather conditions. A total of 1,311 passengers were served on the route, with an average load factor of 63%. The airline operated 55 flights on the Tallinn-Kuressaare-Tallinn route, serving a total of 1,905 passengers with an average load factor of 91%. 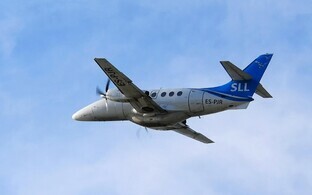 In June, Transaviabaltika flights operated with a load factor of 81% on its Kuressaare route and 52% on its Kärdla route.